When I’ve been listening to an artist for a long time, eventually I stop wanting great albums and grand statements from them. There comes a point where I know what I think of them, have a good handle on their catalogue and only really need from each new record one or two songs that stand comparison with their best work. That’s all – a couple of songs to add an evolving iTunes playlist. In the last 10 years, Barlow’s solo debut, Emoh, gave me Legendary, a new and better version of Morning’s After Me* and Holding Back the Year. Thanks, Lou. On to the next one. Goodnight Unknown had The Right and The One I Call. Those will do nicely. Newie Brace the Wave I only acquired this morning, but it sounds very promising, and C + E already feels like one for the ages. It’s always great to reconnect with Barlow’s music, to hear it as I heard it in my high-school years. It’s worth reiterating (for younger readers, if indeed I have any) that in the 1990s lo-fi was not an aesthetic choice so much as a practical necessity if you were working outside a traditional recording studio environment. Machines like the Tascam 414 and 424 (I still own one of both, though my dad is kindly warehousing them) allowed you to create multitrack recordings in your bedroom, but with such a low tape speed and four tracks crammed on to a quarter-inch cassette, the noise floor was high and the high end response limited. It didn’t matter. You could make records in your bedroom. The idea is now commonplace. In the early 1980s, when Bruce Springsteen used the newfangled Tascam 144 to create demos he would eventually release as Nebraska, it was something close to revolutionary. Barlow – restlessly, relentlessly creative once J Mascis turfed him out of Dinosaur Jr – probably had no realistic choice but to go the home-recording route. Recording all his songs and tape loop experiments in a for-hire studio would have been pretty darn costly. As an alumnus of one of the most beloved bands in American indie rock he was always going to find a label interested in putting out his stuff, but how helpful was it that he could deliver them a record without any recording cost? 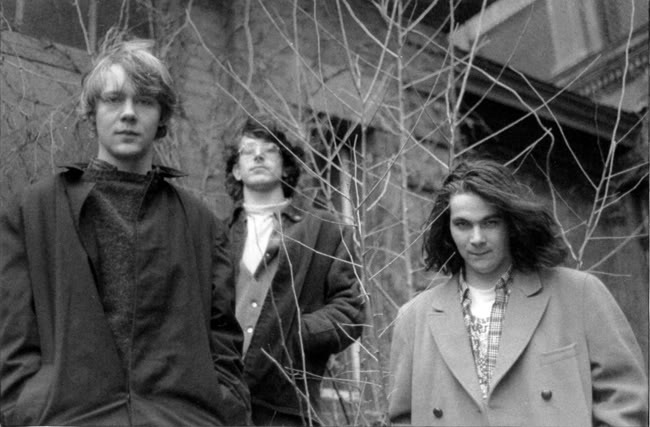 Even once Sebadoh evolved into a real band around the time of III, Barlow’s portions were still home recorded. Anything released under the Sentridoh banner was home recorded. Early Folk Implosion was home recorded. The “Lou Barlow” records he’s made in the last 10 years have been recorded in his home studio or in a similar spirit, quickly and unfussily, in mid-range pro facilities. This quick-and-unfussy vibe is exactly what his fans respond to. Of course, just because you’re recording at home on a Portastudio, doesn’t mean that the recording is a live performance with no overdubs and no punch-ins and no fixes and that there really was a live performance and this is it and golly gee isn’t this so unmediated and intimate and real? But damned if it doesn’t feel that way sometimes. Listened to objectively, C + E has its sonic problems: the vocal is loud in relation to the guitar; the ambient, roomy sound of the vocal has a clangy quality to it that’s not totally pleasant. None of this matters. The feeling the song creates makes all the rest irrelevent. C + E feels like a moment in time, a musician at his most unguarded. That’s why the people who care about Lou Barlow (or Elliott Smith, or Robert Pollard, or any other home-recording auteur) care so much: because the music is so unvarnished, you feel a deeper connection to it, to the person who made it. Maybe it’s delusory to feel that way, but the illusion created is a powerful one. Listening to Brace the Wave, and the extraordinary C + E, I’m struck over and again by the same thought. It’s great to hear Barlow, aged 49, still doing what he’s always been best at: banging on his guitar alone in a room, tearing at your heartstrings. *The original was from Colonel Jeffrey Pumpernickel, a multi-artist concept/compilation album (featuring lo-fi indie rockin’ vets like Mary Timony, Guided by Voices, Grandaddy, Quasi and the inevitable Steven Malkmus) about a military man with severe allergy-induced hallucinations. If that sounds too unbearably cute for you, be assured that Barlow brings some genuine pathos to his contribution, and that its origins as one chapter in a larger story don’t stop it being an effective standalone track on Emoh. This entry was posted in Music and tagged 1980s, 1990s, acoustic guitar, aesthetics of lo-fi, C + E, Colonel Jeffrey Pumpernickel, Dinosaur Jr, Elliott Smith, Emoh, Gavin Rossdale, Grandaddy, Guided by Voices, Holding Back the Year, home recording, indie rock, J Mascis, Jerry Garcia, Legendary, lo-fi, Lou Barlow, Mary Timony, Morning's After Me, portastudio, Quasi, recording, Robert Pollard, Sebadoh, Sentidoh, sound recording, Tascam 144, Tascam 414, Tascam 424, The One I Call, the right on October 3, 2015 by rossjpalmer.